I just wanted to post and let everyone know that most of the ramps are closed on Lake Lewisville. I do still have access to the lake, and I am still fishing. The fishing is really good right now and there are no other boats on the lake to bother us. 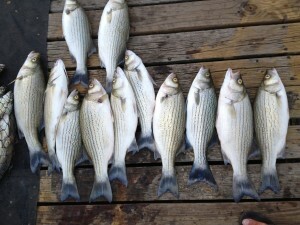 If you’re looking to catch Big Hybrid Bass, Sand Bass, Crappie or a Monster Blue Catfish give me a call today.